Think learning to drive is too hard? Or would take up too much of your time? Think again! In fact, if you and your mates have ever spent a weekend go-karting, then you know how to drive an automatic car already! It really is that simple, and once you know the Rules of the Road (which, let’s face it, we all should have a pretty good idea of anyway), you can finally wave goodbye to that student bus pass. Being a student and juggling your classes with your hectic social life isn’t always easy. We know that. We were students once ourselves, and we know how difficult it is to take on more when your plate’s already looking like the all-you-can-eat buffet is about to close. That’s why we think StudentEDT’s automatic driving lessons, which are especially designed for students, are the perfect solution. Why make things more challenging for yourself? There’s nothing wrong with taking the easier route! We’ve been teaching university students in Ireland to drive for many years, and one of the most common issues that comes up is that learning to drive can sometimes be a bit stressful, particularly around exam time. Enter the automatic car! 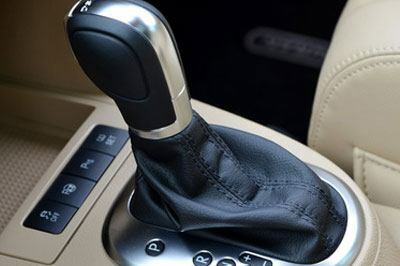 Research has found that muscle tension in drivers of automatic cars is much less than in drivers of a manual transmission. It’s because there’s no gears to worry about - it’s basically just a case of ‘stop’ and ‘start’ - which makes driving an automatic so much more enjoyable and simple. We’re a relaxed bunch, us automatic car drivers. See for yourself! StudentEDT offer both Essential Driver Training (EDT) and pretest training in automatic vehicles for students that want to pass their test but don’t want the extra hassle. Our EDT course is exactly the same as the course for manual vehicles - it covers all the necessary on-the-road skills you’ll need to become a safe and confident driver for life. Our pretest training is, of course, a little different. It’s tailored for automatic vehicles, so while it doesn’t cover gear changes, for example, it does go over aspects unique to automatics, like vehicle creep and so on. We make sure you know everything you need to know about automatic cars - and more - so that you’re ready to pass your driving test. Should I learn to drive automatic? Now, let’s face it - automatic cars haven’t always had the best reputation. So should you be worried? Not at all! Mum might be saying ‘you’ll only ever be able to drive an automatic if you take your test in an automatic’. Grandad might be saying ‘automatic transmissions are just a fad!’. Honestly, it wasn’t that long ago that these were actually very real concerns so we can’t blame them for their worries, but the car economy has settled down recently, and automatics are here to stay. Around one quarter of all new cars on the market have an automatic transmission these days, and Autocar even says that 2013 was the ‘death of the manual gearbox’! Automatics are great, no matter what the oldies say!